As a school Governor of a Primary School I am very concerned at the driver behaviour that I see at the school gate, both by parents/carers and drivers travelling through the area. After a lifetime in the driver education and testing arena I am still amazed by the poor standards that I witness on a regular basis. I feel that the area around a school should be the safest possible. To that end I would like to see 20 mph speed limits within the vicinity of all school gates and static cameras to enforce the zig zag lines. The argument is often put forward that the police will not enforce a 20 mph limit but I feel this as a ‘red herring’, as 80% of road users are law abiding and will see the reason for it. 80% is better than 0%. 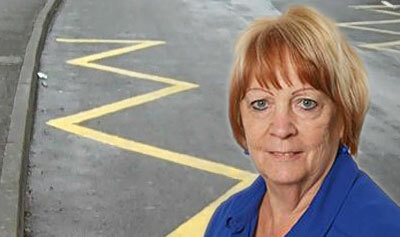 Zig zag lines are ‘NO STOPPING’ areas, not ‘NO PARKING’ areas. These lines are in place to create a safety zone for children to cross, allowing good sight lines with no risk of cars pulling away unexpectedly. It seems to me that normally caring parents/carers lose all common sense, reason and good driving practise outside schools. What do you think? I think we need to be data led, look at the real risk and issues related to child casualties in our own boroughs. With limited resources it is important we don’t react to public misconception. Child casualties have reduced dramatically over the last 20 years, this is in part to area traffic calming, slowing vehicles down and increasing children’s knowledge, taking bikeability is a great road safety education for pedestrians as well as cyclists! Very few children are injured at the school gate, confusion and mayhem and lots of children about all create an awareness for other drivers. The lone child travelling home later following an after school club or hanging out with friends is the greater danger. Borough wide 20 is in my opinion a better approach to help all vulnerable road users whether young or old. Parking/dropping off/picking up on the yellow zigzag lines outside our schools is normally done by parents that seem to be running late. It is unusual to see cars parked on the yellow zig zag lines for a long period of time. This shows that the perpetrators know the rules but choose to blatantly ignore them. As a driving instructor and Councillor I also witness many breaches of the law on our roads from drivers and riders. 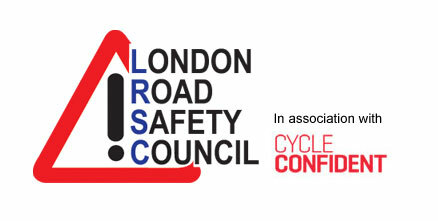 Risks that drivers and riders take may seem to save them precious time but usually does not in the end. The zig zag lines are there to help and protect our children crossing the road safely and be seen crossing the road by drivers. This does not happen if there are cars waiting on the ziz zag yellow lines with engines running blocking zones of vision. Children do not have the capacity to judge how to cross roads safely until the age of 14 as the law sees it so they need assistance and the highway code laws are there to help. Having 20mph speed zones are a very good idea and are there to reduce speed but yet again it will only be effective if drivers adhere to it. Alongside the speed I do also believe that width restrictions and speed humps do get drivers to slow down as well. Our borough of Hillingdon will have CCTV cameras outside all of our schools by the end of September 2016. We are looking forward to finally seeing an end to this dreadful behaviour and realise that these few drivers that insist on breaking the law and abusing the safety of our school children will only learn once they recieve a FPN in the post. As a reminder I have added the ziz zag Highway code rule as a refresher to us all. You MUST NOT wait or park on yellow lines during the times of operation shown on nearby time plates (or zone entry signs if in a Controlled Parking Zone) – double yellow lines indicate a prohibition of waiting at any time even if there are no upright signs. You MUST NOT wait or park, or stop to set down and pick up passengers, on school entrance markings when upright signs indicate a prohibition of stopping. A very detailed and measured response to an important issue, a lot of which I fully agree, thank you. I am an advocate of 20 is plenty, in appropriate places. In my own environment I can see places where it would work well and others where it would not be appropriate. Not all Councils are supportive of such measures for various reasons but I feel that the school gate might be more acceptable in these situations and may offer a first step towards wider consideration. Zig Zag lines are designed to provide safe places for children to cross, with good site lines. For cars to approach slowly is essential to ensure that children are not forced to make rushed decisions or to feel that they have to run, especially in primary schools where children are preparing to become more independent and confident to transfer to year 7 at schools that may be some distance from their homes. I agree that it is important to protect our children where ever they may be using the public thoroughfare to get to and from any activity that they may wish to enjoy but we have to start somewhere and if parents and carers understand more about safety around the school gates, they may just be more careful elsewhere. Whilst there may appear to be a road safety problem “in the vicinity of school gates” this masks a far greater problem which is the universal danger on our roads for children wherever they are travelling to/from school or indeed in the many non-school activities which rely upon their independent mobility. In fact a review by the AA found that 80% of child casualties occur when they are not travelling to or from school, so highlighting that such an intervention as “vicinity of school gates” would only address a small part of the journeys that represent only 20% of casualties. In fact 20mph “in the vicinity of school gates” gives protection to children being dropped off in “the vicinity of school gates” but does little for children walking or cycling the whole way from or to their home. Hence it discriminates in favour of the very form of school travel (being driven by mum or dad) that society seeks to discourage. Whilst the “vicinity of school gates” (with all those children) seems to be dangerous for a car driver it is the very existence and unpredictability of those children that reduces speeds. Where children are at danger is over the rest of the road network when walking or cycling to school (or to friends, grand parents, shops, youth clubs, scouts, etc) where their un-clustered presence does not remind drivers to go slower and a 30mph limit endorses speeds that are not “fit for purpose” to provide the level of safety and liveability that we want on our urban streets. That is why so many London Boroughs (80% of Inner London) are rejecting the 30mph limits and setting a default 20mph limit with exceptions only where they can be justified. So changing the consensus that 20 is plenty and we only go faster where society has made the case and the provision (often through segregated facilities and crossing) for a higher limit. So yes, we do need 20mph limits wherever people live, shop, work and learn, but it should not be limited to the “vicinity of schools”. And it should also be accompanied with engagement and education, as well as appropriate enforcement. We encourage community involvement in this and across the country innovative steps are being taken to get the message across with police support. In Merseyside drivers exceeding 20mph limits around schools are given the option of a FPN or appearing in front of a school child’s court. And its good to see the Community Roadwatch program rolling out in London on 20mph limits.